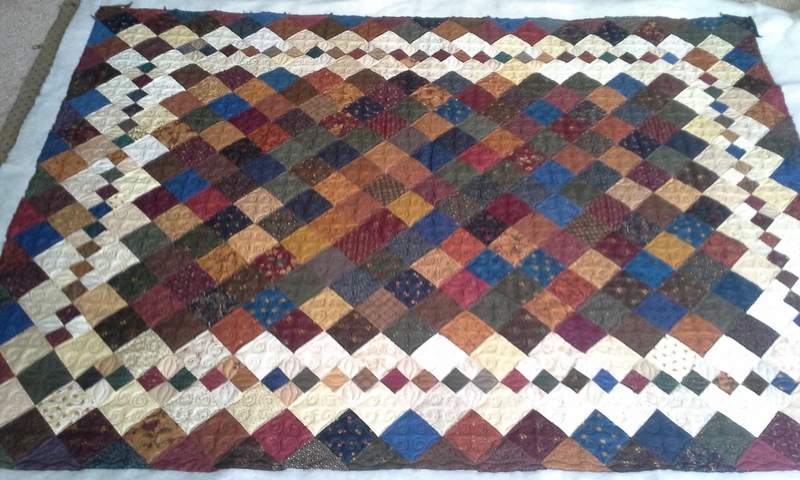 Simple quilt of squares and four patch. Color placement is key. Light block give the illusion of borders. 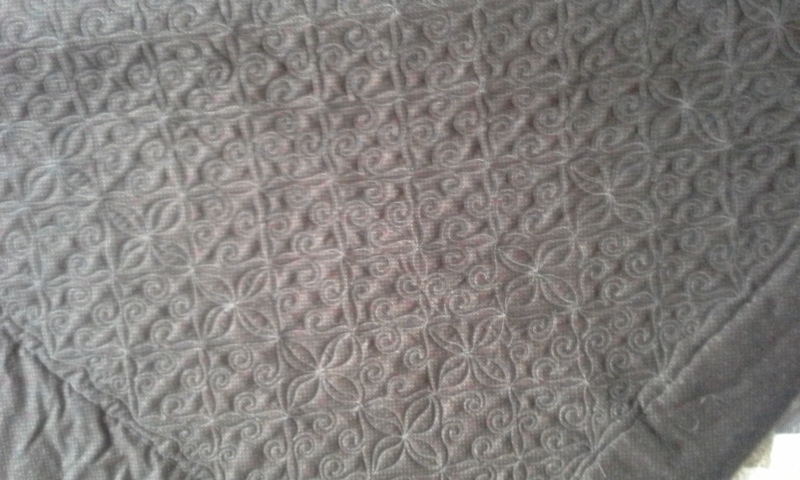 Simple quilting gives a look of lace on the back. Feathers to accent the corner setting around the blocks. 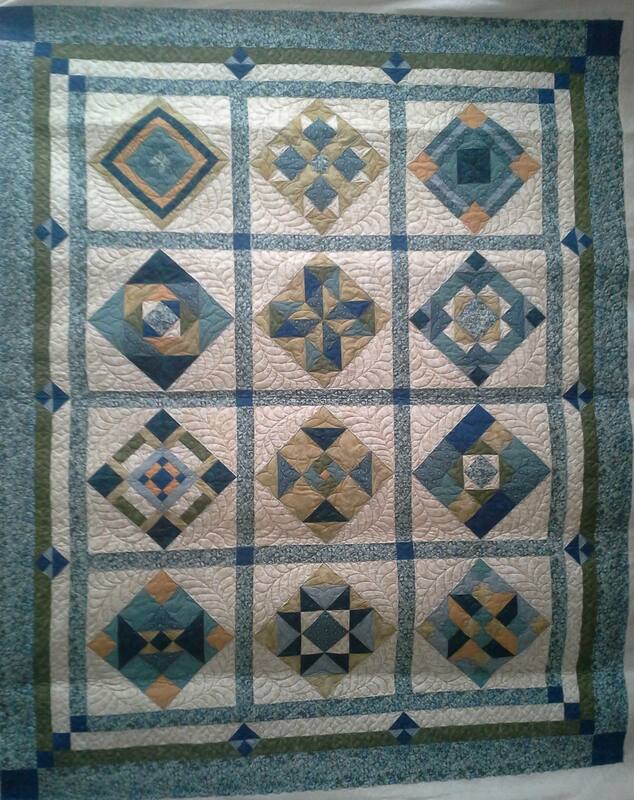 Your quilt (simple quilt of squares and four patch) is quite elegant Did you use a pattern or is this an original design? 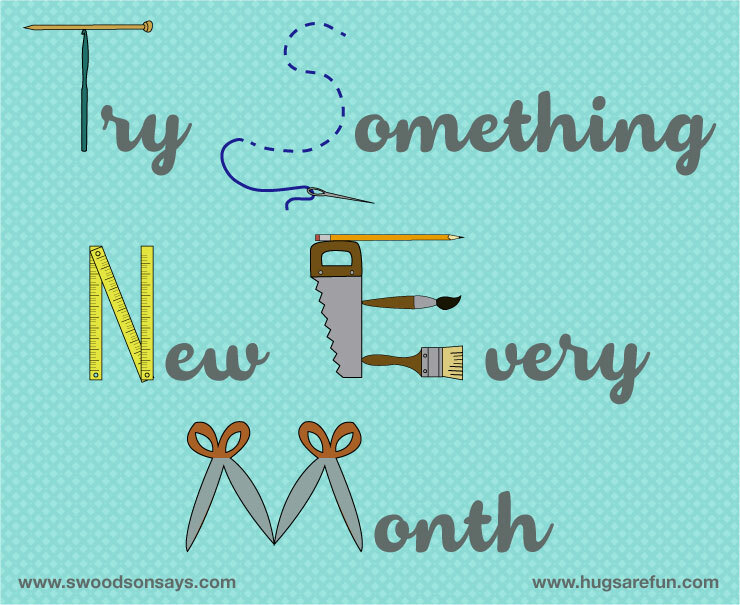 I’m new at quilting but I may try to make this. Do you mind telling me the size of your squares? 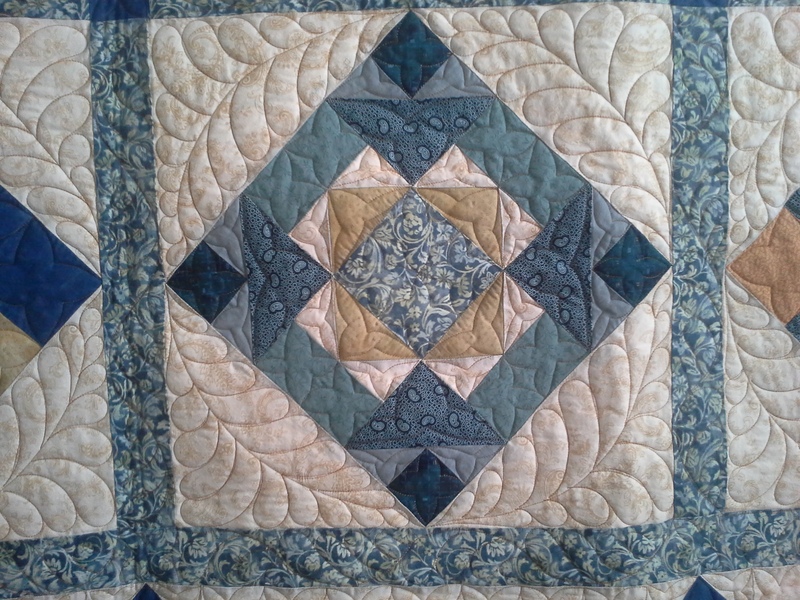 This was a customers quilt that I quilted. I don’t know what pattern she used. 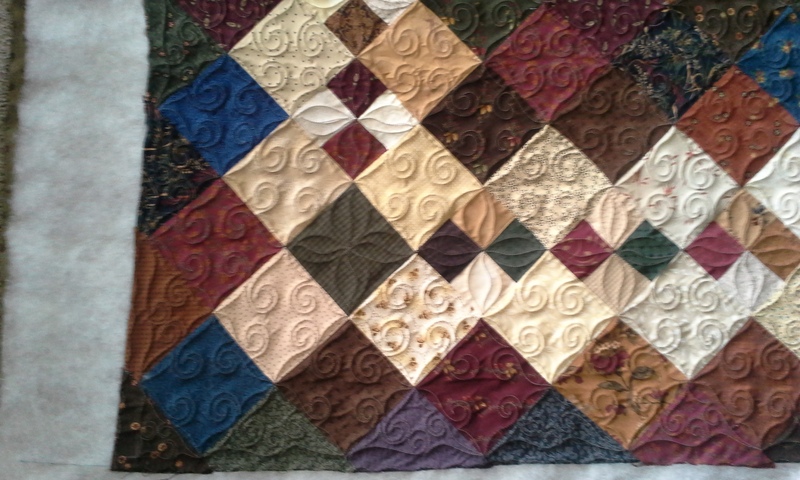 I believe the large squares are 4″ finished and the smaller 4 patch are 2″ finished.